Took a trip out to Tidbinbilla Nature Reserve, near Canberra on the weekend with some friends … always love going out there. This was a quick trip to get out of Canberra for a while and one of our favourite destinations is The Sanctuary – a large wetlands ecosystem surrounded by bushland and protected by a predator-proof fence providing sanctuary for a range of native animals in a natural setting. A pair of Red Belly Black snakes basking on a log in the Tidbinbilla Nature Reserve near Canberra. Aren’t they beautiful! 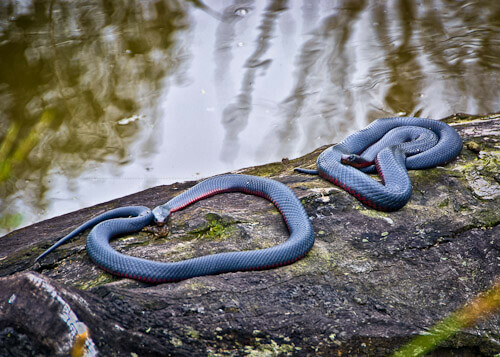 A pair of Red Belly Black Snakes (Pseudechis porphyriacus) basking. 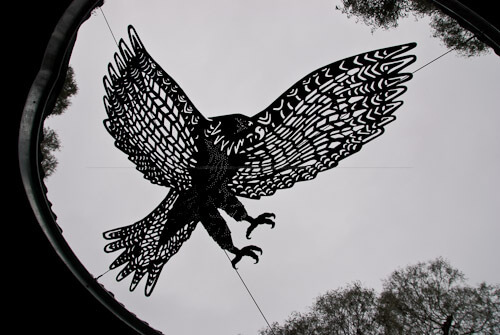 A large metal eagle sculpture suspended above one of the information spots in The Sanctuary. 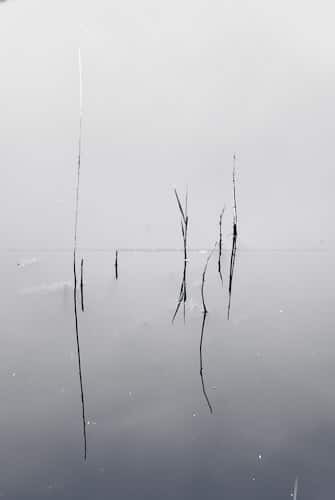 Reeds and reflections in one of the Sanctuary’s ponds. A wide range of water-birds live in and around the wetlands.